A 17-year-old pirate captain intentionally allows herself to get captured by enemy pirates in this thrilling young adult tale. Sent on a mission to retrieve an ancient hidden map—the key to a legendary treasure trove—seventeen-year-old pirate captain Alosa deliberately allows herself to be captured by her enemies, giving her the perfect opportunity to search their ship. More than a match for the ruthless pirate crew, Alosa has only one thing standing between her and the map: her captor, the unexpectedly clever and unfairly attractive first mate Riden. But not to worry, for Alosa has a few tricks up her sleeve, and no lone pirate can stop the Daughter of the Pirate King. 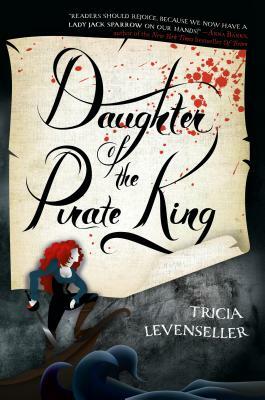 In Daughter of the Pirate King, debut author Tricia Levenseller blends action, adventure, romance, and a little bit of magic into a gripping tale on the high seas. And don't miss the sequel, Daughter of the Siren Queen!